I'm not even sure how much I can say about this novel without giving away too much! When I first read the synopsis of this story, I thought it would be something completely different than what it was. Instead, I got not only got to spend time with some of my favorite people (from the previous Lovebirds stories), but I also got to meet someone new and I got to hiss and growl at a character that I've grown to hate (they were horrible in the previous books, but this time around they were just downright malicious). 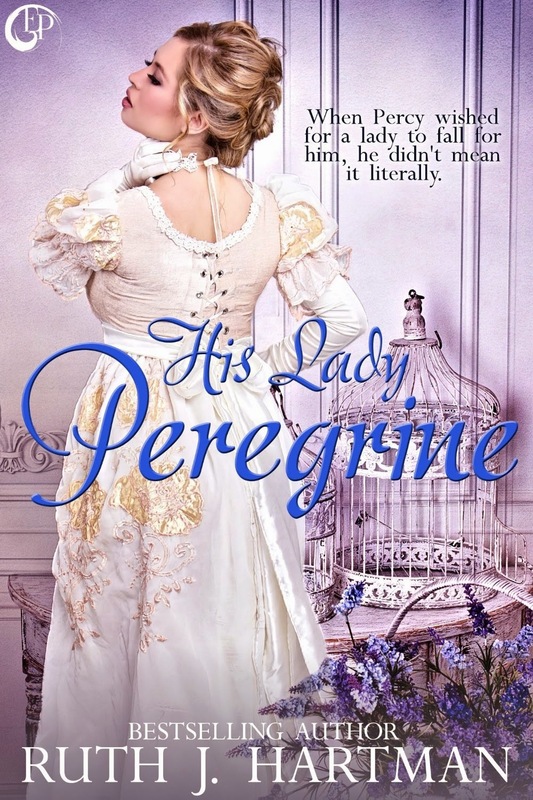 I (as usual) loved Percy and all of his quirks, and I was happy to see him finally get his own story (although I not only wish it had been longer, but I also wish I could have been invited to the wedding). I also enjoyed getting to know Georgiana as well - as she was not only someone who would be a perfect addition to the current characters that we all know and love - but she is also Percy's match in every way. I do wish that she would have been the one to uncover things (again I'm trying to be as un-spoiling as possible), but the way things worked out in the end was satisfying enough that I cannot complain. Overall, this was one of those sweet, clean reads that Ruth is known for - and that I can't get enough of! However, I do feel inclined to say that even though this book is free and definitely well worth the read - some of the characters probably won't make much sense if you have not read the other books in this series first.